Could you start by telling us about the original picture? 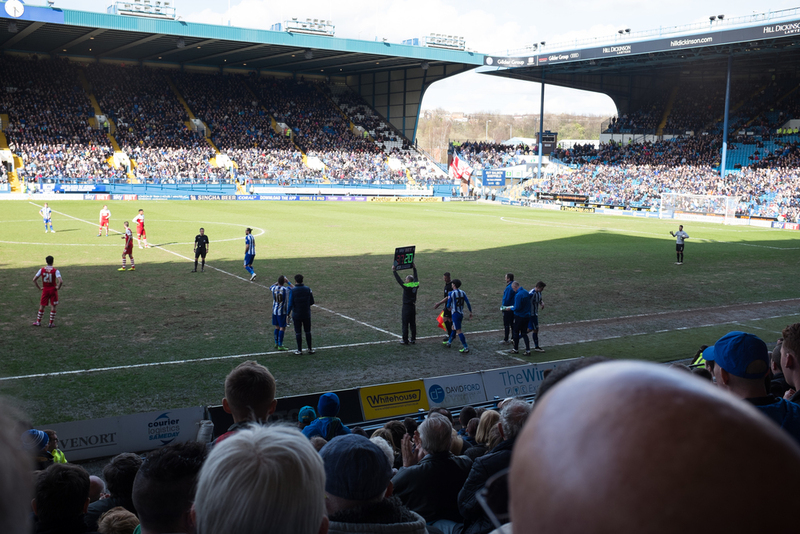 “It's taken at Hillsborough, home ground of Sheffield Wednesday Football Club. It was at a Bristol Rovers game in League One, the season that we beat Sheffield United to promotion to the Championship, although they're still there - not that that's relevant! The club had started doing crowd pictures on Facebook. They'd upload them and then you could tag yourself. I clocked the guy with this massive lens at the pitch side in the middle of this game. I nudged dad, so we pointed and waved, then this photo appeared on Facebook. So would you say that Hillsborough was a particularly significant place for you both? Did you have a particular routine for a match day? Were there things that you did especially, as a routine for going to the game together? Is it a place you go much now? Have you returned there many times? What did it feel like to go back? “Mixed I suppose. You would've of thought it was really well planned, but, as you know, it wasn't really, it was a bit of a spontaneous thing, which I think was probably a good thing. So, even driving the rat runs that he showed me, and parking up was all part of the routine. I didn't feel sad, or particularly moved as such, but I suppose a bit nostalgic. Going in, as it just so happened that day, a lot of my Dad's friends that sat a few rows in front were at a wedding, which in some ways I was pleased about, because it made it a bit less intense, and it also meant we could sit in their seats! The guys that we always sat with as season ticket holders were there, and it was really odd seeing them. He lasted a bit longer than we all thought he would, and longer than he thought he would, but the most emotional moment after his diagnosis, was when we got to the end of the Championship season in 2013. He'd been diagnosed at the end of October and he'd deteriorated that season, but he was there on the last game. He was very ill though. 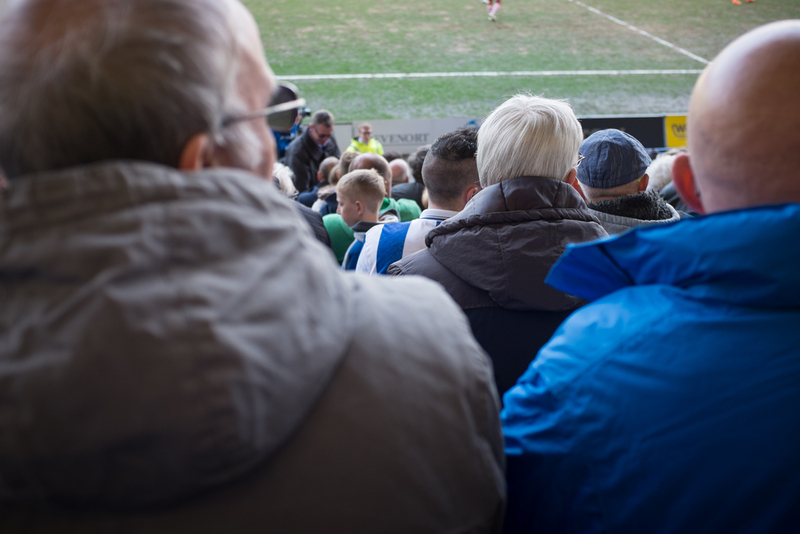 Sheffield Wednesday had stayed up, and he just kind of sat down, he kind of had a little look around and just began to cry and I think he thought at that point, that could well be his last game. I don't think the weight of the situation had escaped anybody, I think we all realised he was ill and he wasn't getting better, just even the way he was having to use a walker just to get to the seats, so it was obvious to everybody. I sort of said, 'Ahh Dad, come on, stand up, we'd best get a picture.' It was odd because our friends who were a few rows in front, because it was the last game of the season, everyone had taken their cameras. They'd turned around and taken a couple of pictures of us and I don't think I'd quite spotted it, but he was really upset, and as they saw that, they all started crying and then it was just a bit of a car crash from then on. It was just a very poignant moment. That's not the picture I chose because he doesn't look well, and it's not how I remember those match days. Obviously that place holds a huge range of emotions: that poignant moment where everyone's emotional at one end of the scale, compared to when you score a goal and celebrate at the other end of the scale. Was that what he was like as a person? What was it like when I asked you to find a photograph? Did you know which one to choose or were there a few to pick between, or did you have to look through albums? What was it like to retake it? Have photographs of your dad been important in remembering him? “It's kind of odd, because with my mum and dad getting divorced so early and then me not living with him, I actually don't have many photos. Going through his stuff and seeing photos and going through them was kind of nice, because for a long time, when I think about by dad, was when I was at his side when he passed away, which was nothing like him. My dad was always quite a big guy, and a big personality to go with it, and he was, come the end... Well, even his skin was grey, he was thin, gaunt, his torso was still quite bloated because of the cancer, his watch was dangling down by his elbow, his teeth were bad. But when I think about my dad, that's what is in my head. For the first time last week, I had a dream, and it started with that image, but then it moved to images that were much more him, like the photo that I used on his order of service, which was also taken at Hillsborough, although I had to photoshop the background out, because it didn't quite seem appropriate - although maybe it would have been! Stumbling across photos of him playing parts on stage, or production shots, things like that where he's having fun, he's entertaining people, having those as a reminder has been really important. For that reason really: because for so long your flashbacks are of that last moment, and compared to the last 30 odd years, it's such a fleeting moment and it's not a fair reflection of the man. So in that respect they are quite important, I just wish I had more of them. Did it feel like a healthy thing to do, finding a picture, going back to Hillsborough, taking the picture? 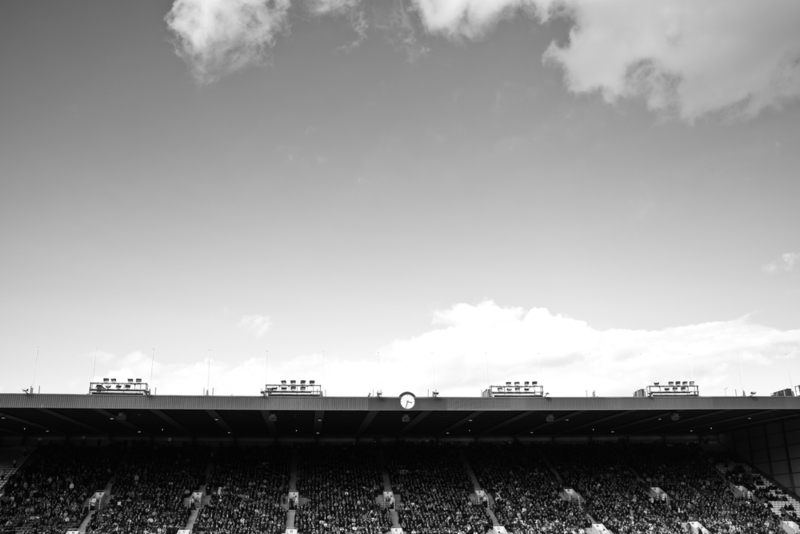 “In some ways, it was really good that it was the first time that I'd been back to Hillsborough. 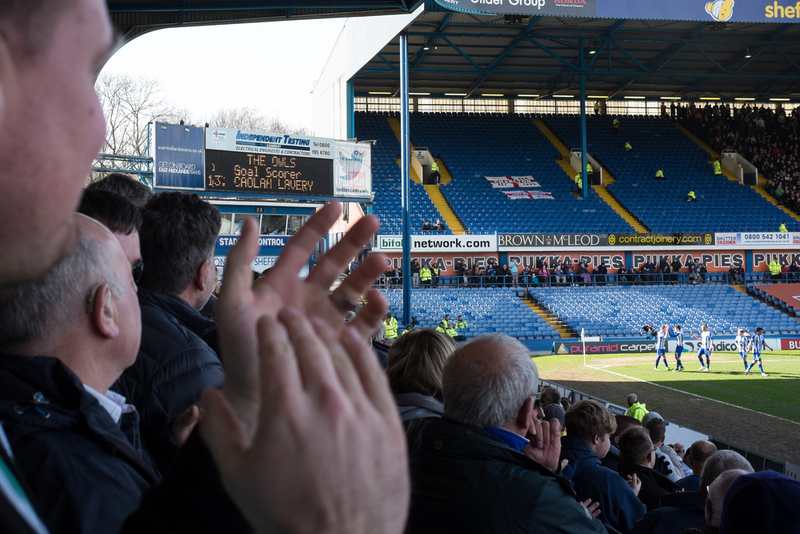 I'd been to see away games this season but not back to Hillsborough, so, in some ways, to be able to make that, in a funny way, felt honouring. I think I had a moment after we scored, but I didn't find it hugely emotional, and I wasn't really expecting to, but I think it was a positive experience. 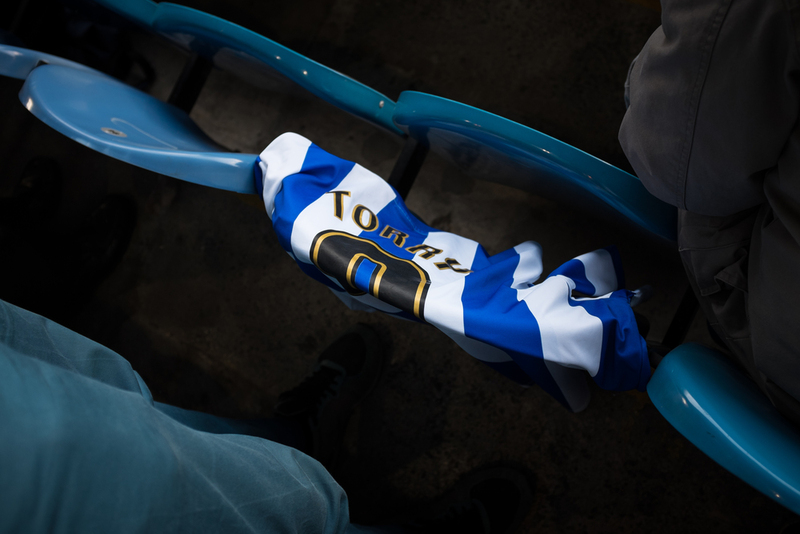 To be able to go and look for his brick outside the stadium felt like an honouring moment, rather than just going to the match and going home again, being encouraged to think and reflect a bit was good.